Seeking employment is just like anything else in our fast-paced world – you need to keep abreast of the trends and tools. 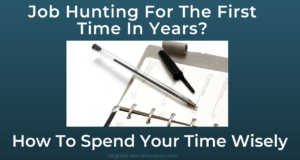 If you haven’t looked for a job recently – whether because of circumstances or choice – relying on methods you used to find positions in the past, may leave you frustrated. If you’re unemployed or underemployed, staff at The Work Place in Grande Prairie will help you fine tune your resume and ensure you’re using all the tools available to you, including accessing potential training opportunities (see contact details below). Your tactics may include updating or acquiring new skills. Unless you have just had your resume professionally prepared, yours will likely need a refresh. The one you’re using may have outmoded phrases like “references available upon request” or “a strong leader” and be chock-full of dated, irrelevant information. In the past, people used vague details to demonstrate a fit to the job. Employers and human resources professionals now look for examples of how you put your skills to work to assist the employer – how you made a difference in the workplace through tangible results or process improvements to create efficiencies. With the evolution of Applicant Tracking Systems, you need to ensure your resume contains key words in the job description. You may also not be using LinkedIn effectively as a networking, job search and portal for relevant articles in your field. When some people begin pursuing a new job, they turn to their stack of business cards. While you want to stay connected with contacts new and old, LinkedIn is there to find potential new colleagues and will ensure you have the latest details on your current network.